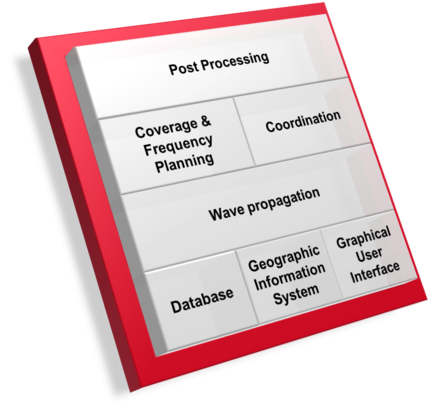 The software solutions include a highly sophisticated Geographic Information Systems (GIS) and incorporate a powerful database engine. The complete software portfolio of LS telcom is Windows based and the software modules can be easily interfaced with one another and other third party tools. LS telcom's software is highly user-friendly and adapted to the particular needs and requirements of the respective radio engineer. Guarantee: Latest ITU and other national and international recommendations are integrated into the tools almost immediately upon official release, if such revisions or new regulations are relevant for our customers' work. Please also visit the LS telcom Product Page for further details about our Network Planning Tools.